If your windshield has been cracked or damaged in a recent accident or through normal wear and tear, immediate repair or replacement is a priority to ensure your safety on the road. Finding the right Houston auto glass company can help you to enjoy the most effective solutions for your windshield replacement needs and can provide you with the greatest longevity and dependability from your repair. 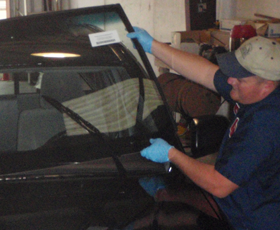 Here are five factors to consider before beginning your windshield repair or replacement. The Auto Glass Safety Council is the leading North American authority for auto glass repair and replacement and is responsible for establishing the Auto Glass Replacement Safety Standard (AGRSS). This standard represents the best practices for the auto glass industry. Registered members of the Auto Glass Safety Council must maintain compliance with the principles and requirements outlined in the AGRSS and are held to a high standard of excellence and professional conduct. • The use of the right types of sealants and the removal of nearly all the old sealant prior to installation is essential to ensure a complete and durable bond. • Technicians should wear gloves to prevent grease and oil from reducing the effectiveness of the bonding process between glass and your vehicle. • The windshield glass and the surface to which it will adhere must be cleaned completely and allowed to dry prior to the start of installation. • No gaps should be present between the molding and the glass, and the windshield should be even with the body of the car or truck. • The windshield should be centered perfectly on the front of the vehicle. Selecting a Houston company that maintains best practices in its auto glass installation procedures can ensure that your windshield stands up to daily use for many years to come. Past performance is often a good indicator of future results. Asking for references can help you find the right company for your needs in the Houston auto glass industry. By taking the opinions of other customers into consideration, you can narrow down your choices and can avoid being taken in by companies that appear one day and are gone the next. In a similar vein, selecting a company with an established brick-and-mortar location can ensure that your auto glass technicians will be around to fulfill any warranty work and to stand behind their guarantees. This can prevent unpleasant surprises if anything should go wrong after your installation is complete. Selecting an established company can provide you with greater confidence throughout your auto glass repair project. Finding a company that offers convenient hours and that can come to your workplace or home to perform windshield repairs and replacements can help take some of the stress out of these procedures. Choosing the right Houston auto glass company can ensure that you receive the most durable windshield replacement at the time and place of your choosing. 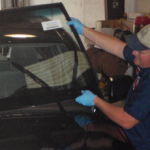 Performing a little due diligence before selecting a company to perform your windshield repairs can help you to achieve the best possible results and can ensure greater safety for yourself and your passengers. An intact windshield provides an added barrier against the outside world in the event of an accident and can deliver clearer visibility for you on Texas streets and highways to allow you to avoid some accidents before they occur.